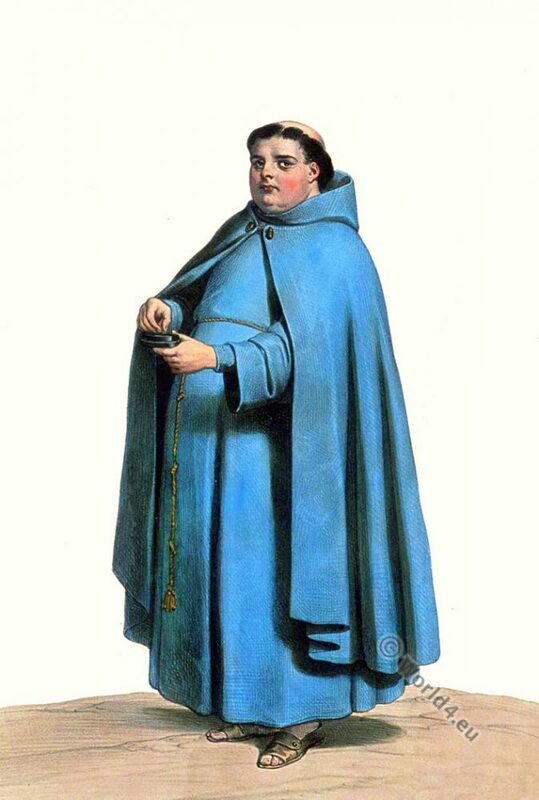 Friar of the Order of St. Francis. Home » Friar of the Order of St. Francis. 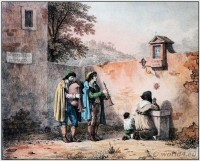 Costume Espagnol. 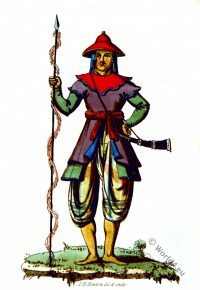 Cordelier de l’ordre de saint François. 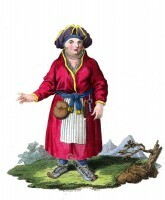 Source: Costumes historiques de ville ou de théâtre et travestissemens par Achille Devéria. Paris: Goupile et Vibert, 1831. 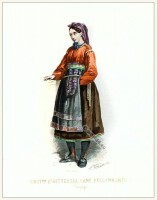 A Woman of Lapland in traditional dress. Woman in folk dress from Hittertal Fellemarken Norway. A Trooper at the Court of Amarapoorah. Burma. This entry was posted in 19th Century, Ecclesiastical, Spain and tagged Costumes historiques de ville ou de théatre, Ecclesiastical Dress, Traditional Spain costumes on 9/14/16 by world4.